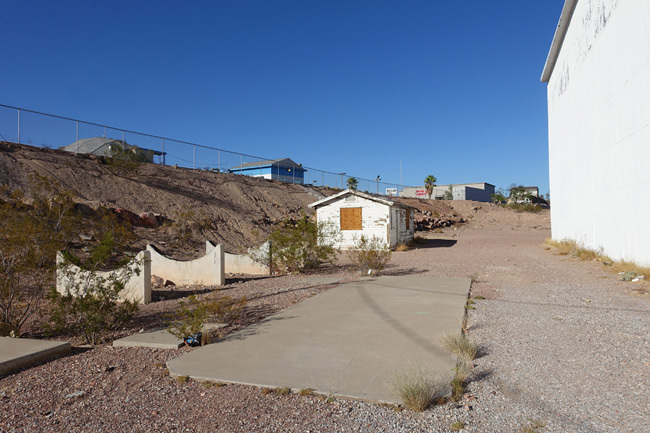 Once known as the "biggest airport in the West", very little remains of the Boulder City Airport today. 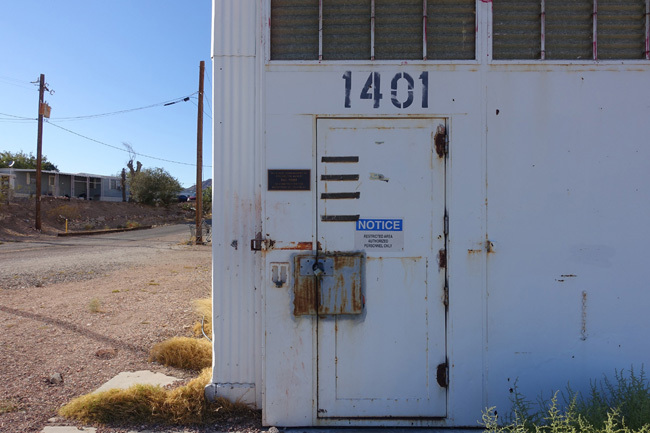 After exploring the Boulder City Pet Cemetery on the outskirts of town, I made my way into the city to check out several other abandoned places. 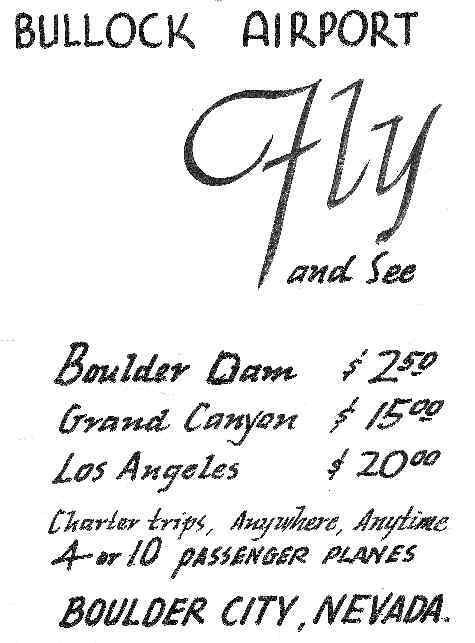 First on the list was the original Boulder City Airport. 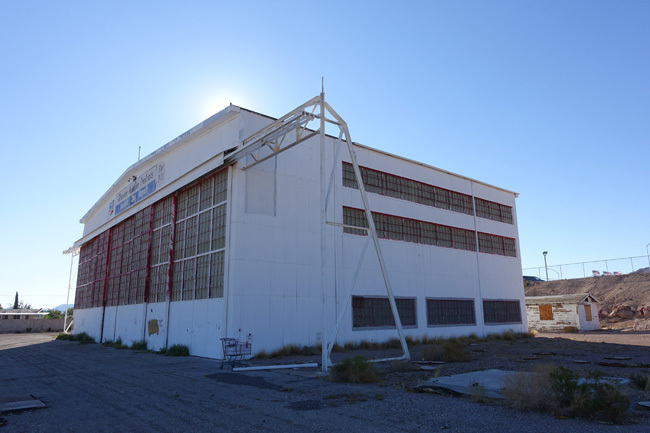 It opened in November 1933 as Bullock Airport, named after Noel Bullock, who leased the land from the Bureau of Reclamation. Originally a private airstrip with no hangar, it served as the base of operations for Bullock's charter service and sightseeing tour business. Bullock died about a year later, in December of 1934, when his plane crashed into the Pacific Ocean while carrying passengers from Mazatlan to La Paz, Mexico. 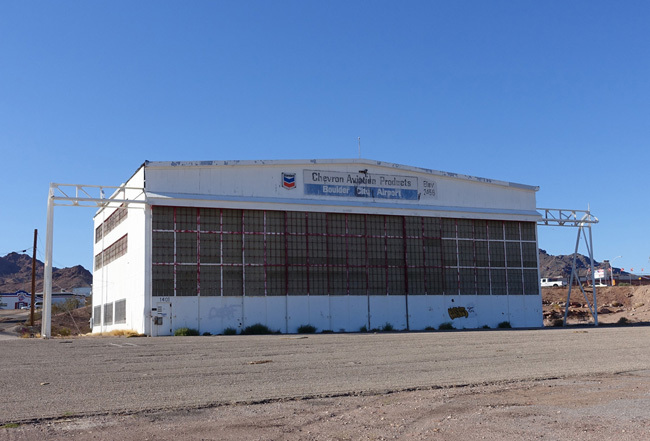 In 1936 a primitive terminal building was added to the property and Grand Canyon Airlines became first commercial airline to operate out of the airport. Unfortunately the airline failed to achieve financial viability. In 1938 TWA leased the airport and a new terminal with upgraded amenities was built. The Boulder City Airport became an important transportation hub for tourists visiting Lake Mead National Recreation Area, Hoover Dam, Las Vegas, and the Grand Canyon. For a time, it was known as "the biggest airport in the West." During World War II, civilian flights were limited and the airport was primarily used for military planes. 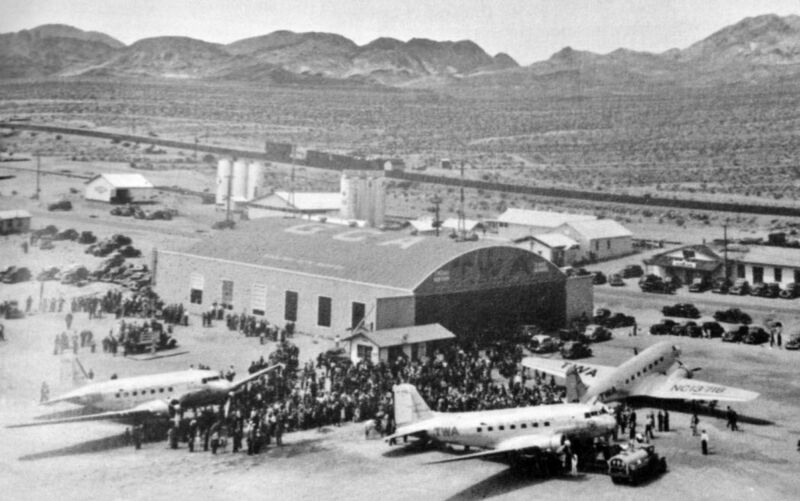 The opening of McCarran airport in Las Vegas caused a considerable decrease in the number of civilian flights into Boulder City. TWA ceased operating out of Bullock's Field in 1949 when the airport was condemned by the CAA. 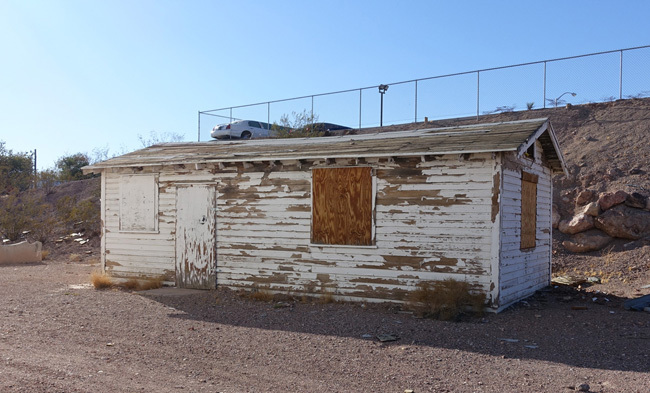 In 1958, Boulder City Elks Club bought the main terminal building and transformed it into their club house. It is still used for that purpose today. 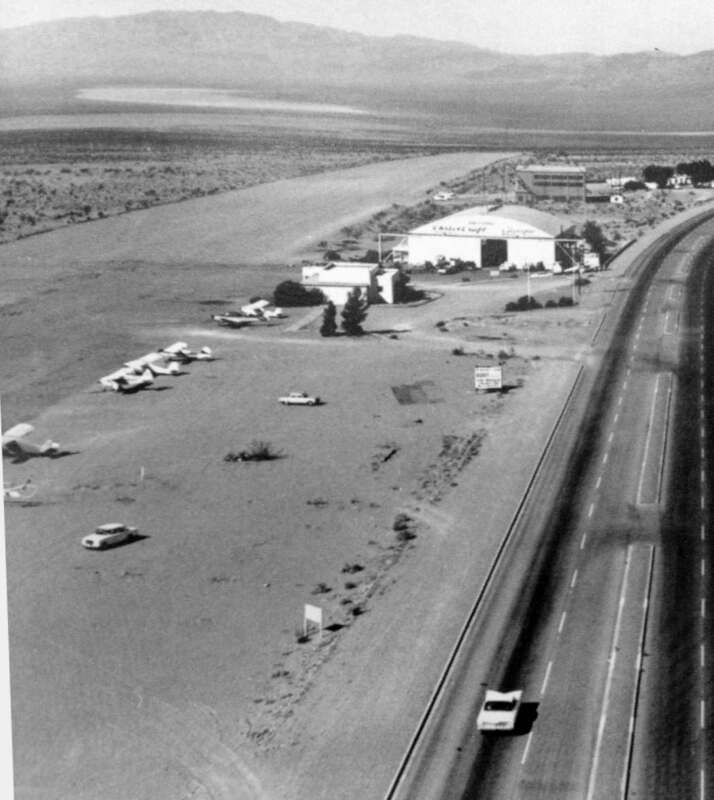 Boulder City Airport reopened under city control in 1961 after renovations were made. The airport property shrunk over the years, decreasing from 3 runways to only 1 by 1980. Construction began on the new Boulder City Municipal Airport in the 1980s. 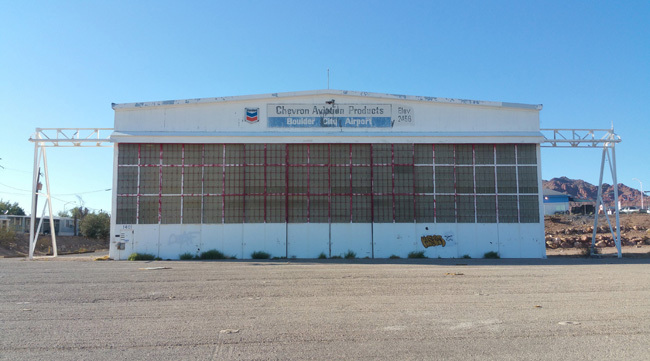 Its opening in 1990 coincided with the closure of the historic Boulder City Airport. 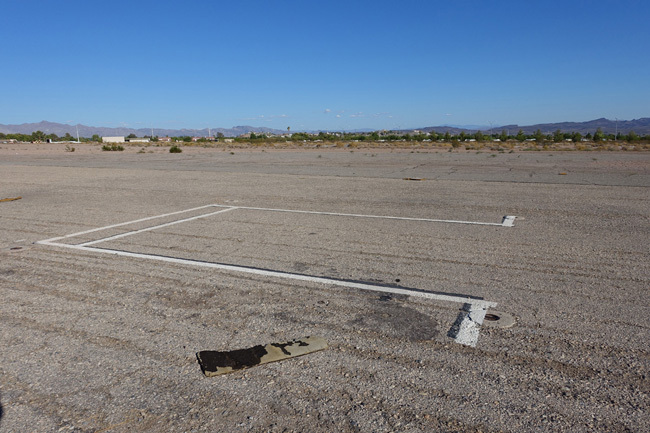 Very little remains of the original Boulder City Airport today. In the below satellite image, you can see the footprints of several small structures as well as the only remaining hangar building in the upper left corner. At the time of my visit, the terminal building used by the navy in WWII was the only major airport structure still standing. The other buildings have been demolished or repurposed. The terminal building is well-secured and the inside is inaccessible to the public. 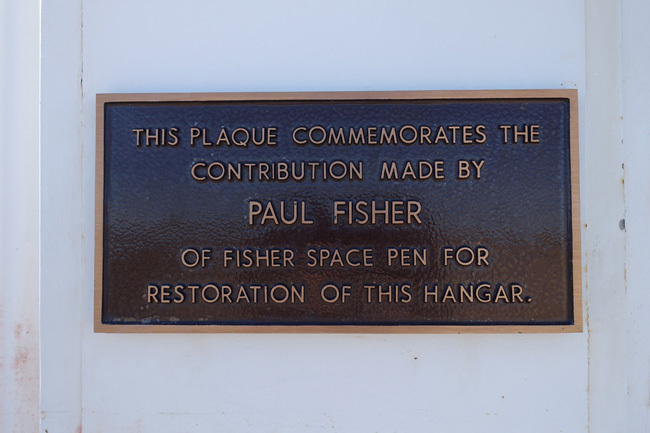 Beside the door, a plaque honors the restoration efforts of Paul Fisher, who is best known for having invented the Space Pen (which served as an important plot device in an episode of Seinfeld). 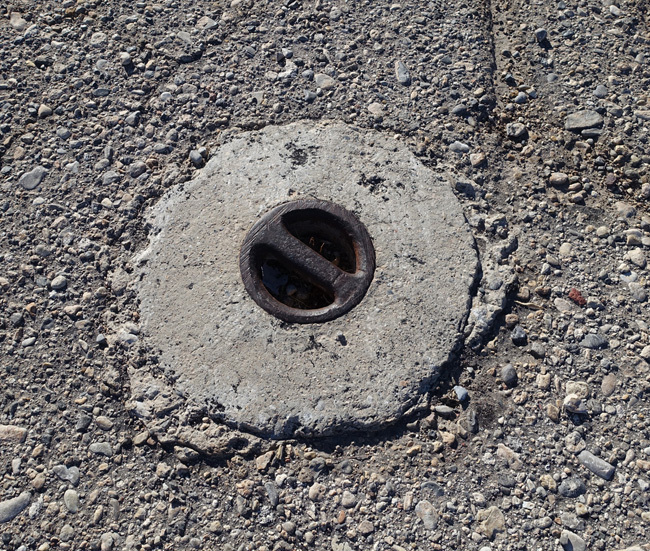 and few sections of concrete from the runway. 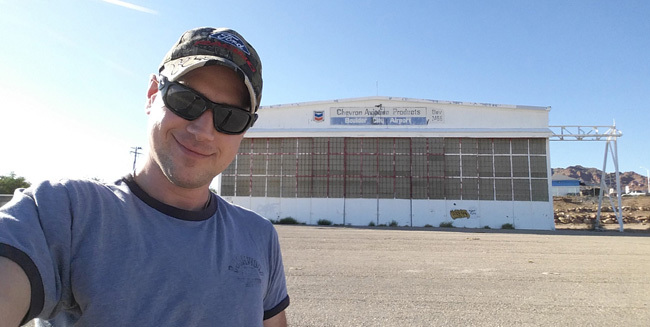 After my quick visit to the old Boulder City Airport, I headed into town to check out the abandoned Boulder City Hospital. It was featured in a video for the music group, The Killers. The name of the song was called "Spaceman". To add more to your story. The hangar is owned by the Fisher estate. Paul was going to turn it into a space camp for children. If you had made it to the Elks lodge you would have been in the main terminal of the field where TWA had their operations. Inside the Elks lodge is excellent memorabilia of the past history. Thanks for the info! It's a shame the space camp never happened. Kids would have loved it. This would make for a fantastic brewery location! :) Just sayin. I've explored this area too. Over by the fire station you can see the old traffic pattern indicator that pilots could see from the sky to know how to fly in and land if they were unfamiliar with the airport. I agree. It would be a good spot for a brewery. Next time I'm in the area I'll look for the traffic pattern indicator. Thanks for the tip! You can see it on Google maps or earth. It's a bit hard to find without knowing where it is first. I actually pulled up earth on my phone and gps'd my way to it. And if you work up an appetite... Follow the smell of bbq from Fox's Smokehouse. Amazing stuff.